Increasingly, concentrated solar power (CSP), and concentrated photovoltaic systems (CPV), are coming online. 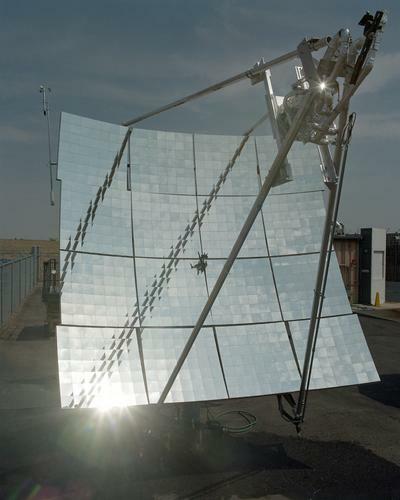 CSP plants, because of their size and cost, and the fact that they require direct radiation, or more intense sunlight for a certain number of hours in the day, are typically utility-scale projects installed in the world's sunniest places. CPV, on the other hand, can more easily be used in diffuse radiation, or sunlight, to help municipalities, industry, and the hospitality business, meet their water heating and electricity needs. Gov. Andrew Cuomo's Cleaner, Greener Communities initiative, an interdisciplinary approach to sustainability now in its planning stages, is an opportunity to push a sustainability agenda for New York state that relies on energy efficiency, renewable energy and other carbon abatement measures. Building on what's been developed by the 10 Regional Economic Development Councils, the CGC only stands to improve the state's efforts to go green in a way that's truly sustainable. A bottom-up approach, the CGC is an opportunity for local experts, administrators and the public to draw up sustainability plans that best suit their region before the plans are finally submitted to the New York State Energy and Research Development Authority - the agency that oversees the CGC - in January 2013. Ten separate consortia, or groups, have been selected for the CGC to represent the same 10 REDC regions the state has. The CGC sustainability plans by region are meant to run parallel to the strategic visions of the REDCs, but also supplement them with focused and interdisciplinary green measures. The regions - collections of counties representing every city, town and village - are larger in size than previous organizational models the state has used. This encourages planners to think outside-of-the-box to see how neighbors can pool their resources and collaborate on their solutions. These solutions are meant to take into account the many different facets of community building and restoration - from agriculture to energy to landscaping and land use to revitalization of downtown and main streets - to see how they overlap and can increasingly complement one another. In the Mohawk Valley, six counties are represented by a consortia that is expecting to hear from local experts, administrators and the public during its planning stage, which has begun and will continue until the end of the year. The six counties are Fulton, Herkimer, Montgomery, Oneida, Otsego, and Schoharie. Nine other regions, set up similarly, are developing plans across the state. The Capital Region, too, is in the early part of its planning stage for the CGC. There's $10 million in funding for Phase I, planning, of the CGC and $90 million for Phase II, implementation. The money comes from the Regional Greenhouse Gas Initiative, the first mandatory, market-based regulatory effort in the United States that manage greenhouse gasses while also raising dollars to be used toward energy efficiency and renewable energy projects. The RGGI is a cooperative between nine states: Connecticut, Delaware, Maine, Maryland, Massachusetts, New Hampshire, New York, Rhode Island, and Vermont. Planners of the CGC can look both to local and federal plans and objectives for inspiration, but they'll rely strongly on the knowledge of local teams, with input from the public, to address their unique needs. With the CGC, a rare opportunity exists to shift the focus to energy efficiency and renewable energy from fossil fuels. Now is the time for New Yorkers, including in the Mohawk Valley and Capital regions, to speak out about what their sustainability needs are.